The story of Oscar Pistorius — a double-amputee who competed in both the Paralympic Games and Olympic Games — took a turn for the worse in 2013 when the athlete murdered his girlfriend, Reeva Steenkamp. After receiving a prison sentence by a lower court, the Supreme Court of Appeal more than doubled Oscar Pistorius’s sentence on Friday in South Africa, where Pistorius lived. Back in 2016, Pistorius’s original sentencing ruled that the Olympic sprinter spend six years in prison, but after revisiting the case, South Africa’s Supreme Court of Appeal sentenced Pistorius, aka “Blade Runner,” to 15 years in prison. Since the athlete already served time both in prison and under house arrest, the new sentence has been deducted by his past imprisonment. 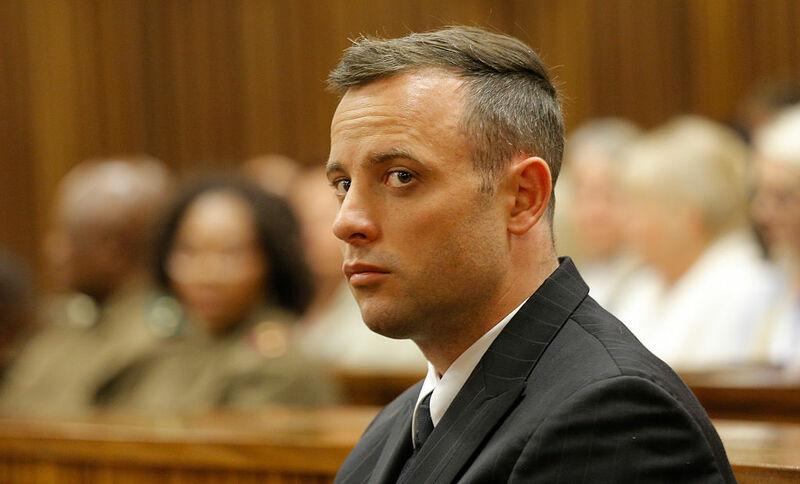 The total outstanding sentencing for Pistorius comes out to 13 years and five months. At the time of Steenkamp’s death, Pistorius was only 26 years old and considered a hero in many people’s eyes. Steenkamp was 29 when she died, and people knew her as a model and reality TV star. She had spent her time in the public eye advocating for women’s rights and raising awareness about domestic violence. Pistorius’s original six-year sentencing struck many people as oddly brief, especially since South African law recommends a 15-year-long sentence as the minimum punishment for murder. At the time, Pistorius claimed he had fired the gunshots which killed his girlfriend at a suspected intruder. The prosecutors, however, claimed that Pistorius killed Steenkamp out of jealousy and rage. According to The New York Times, prosecutors claimed that Pistorius and Steenkamp had argued during the morning of February 14th — the day she died. A recent Lifetime movie, which premiered on November 11th, chronicled Pistorius’s story, from the Olympics to the murder trials. It looks just about as dramatic and sad as you would expect. Steenkamp’s murder brought global attention to South Africa’s staggering statistic when it comes to the homicide of women by their intimate partners. The murder of women, sometimes called “femicide,” committed by their partners had a rate of 5.6 per 100,000 in 2009, which, according to Live Science, was more than double the U.S.’s rate of two women’s murders committed by their partners (per 100,000). Some feel relieved by Pistorius’s extended sentence. The fact that South Africa’s Supreme Court of Appeals extended Pistorius’s sentencing shows that the country is taking their problem with domestic violence more seriously. Hopefully, more countries will follow their lead in showing that violent crimes against women will not go unpunished.